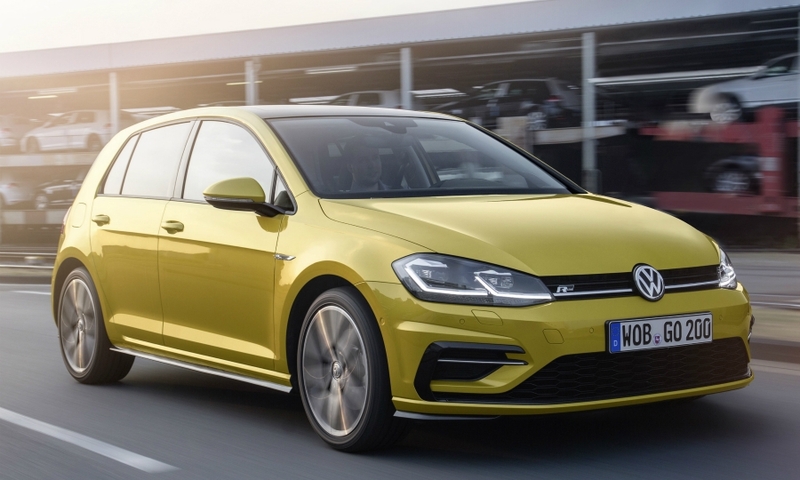 WOLFSBURG - Volkswagen unveiled the refreshed version of its Golf that offers new features including gesture controls and semi-autonomous driving, both introduced for the first time in the compact class. VW hopes the upgrade will help Europe's best-selling car to fight off competition from premium rivals such as the BMW 1 series and Mercedes-Benz A class. 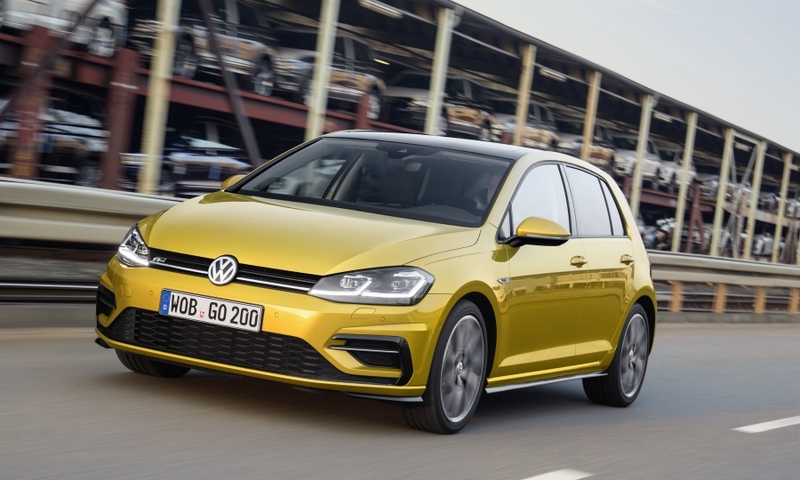 Since the current, seventh-generation Golf was launched in 2012, the brand has sold more than 3.2 million Golfs worldwide and with the mid-cycle facelift, VW expects it can slightly expand its market share in Europe's stagnating compact segment. 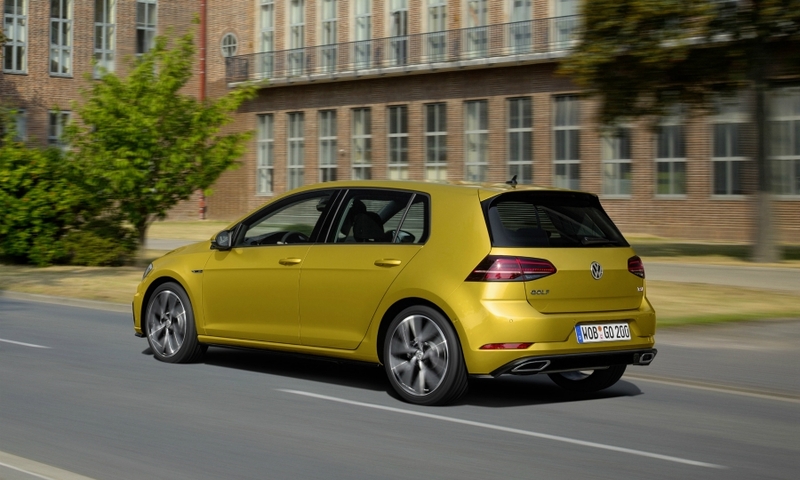 "The Golf has a particular status, it's the absolute benchmark in its class. From the perceived quality, it's fully accepted by our customers as a premium product," Karlheinz Hell, VW brand's head of compact cars, told Automotive News Europe. "We are at eye level with the premium brands." 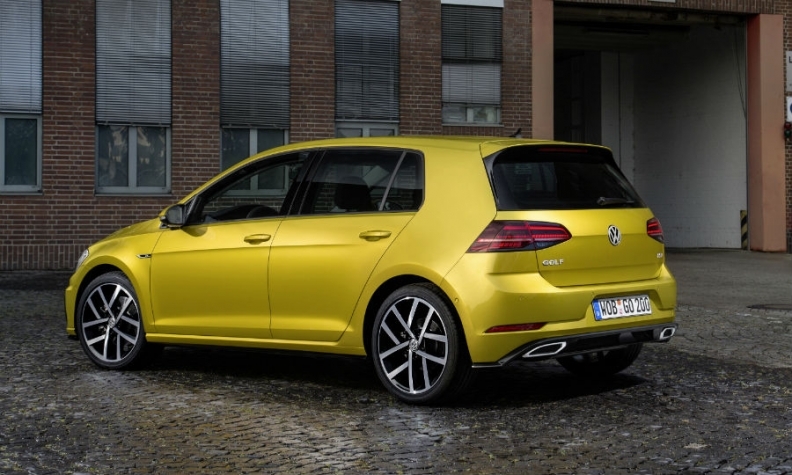 Along with new seven-speed double clutch gearboxes, the Golf will also debut a new 1.5-liter gasoline engine called "1.5 TSI Evo," whose 128 horsepower BlueMotion version improves fuel economy by 1 liter per 100 km thanks to various optimizations. This includes cylinder deactivation and a power-boosting variable geometry turbo charger. The engine is also particularly efficient thanks to higher compression ratios achieved via early intake valve closure (EIVC). Additionally it can be completely shut off during operation when the driver takes the foot off the accelerator. This form of coasting known as "sailing" had previously only featured in some hybrids, and VW claims it is the first conventional combustion engine to offer such an innovation. In order to maintain power to major operations such as power steering, VW built in an extra 12-volt battery to provide electricity. This cuts fuel consumption to an estimated 4.6 liters per 100 km and its CO2 emissions to 104 grams per km. 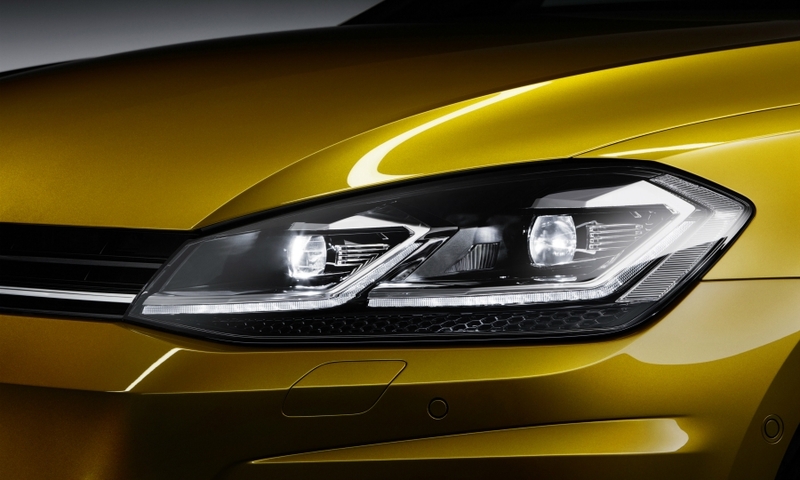 The Golf has some minor design cues most prominently seen in new shape of the headlights, which wrap further around the corners of the car. 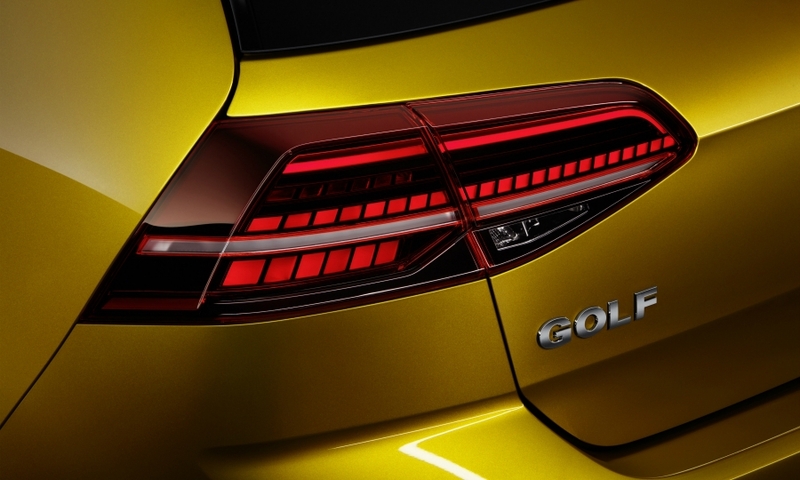 It also now comes with LED taillights as standard and in the top-line version it incorporates dynamic lane-change indicators. VW also added a semi autonomous driving feature which its says is a first in the compact segment. The system can steer, brake and accelerate the car at speeds of up to 60 kph in stop-and-go traffic as long as the driver's hands are on the wheel. 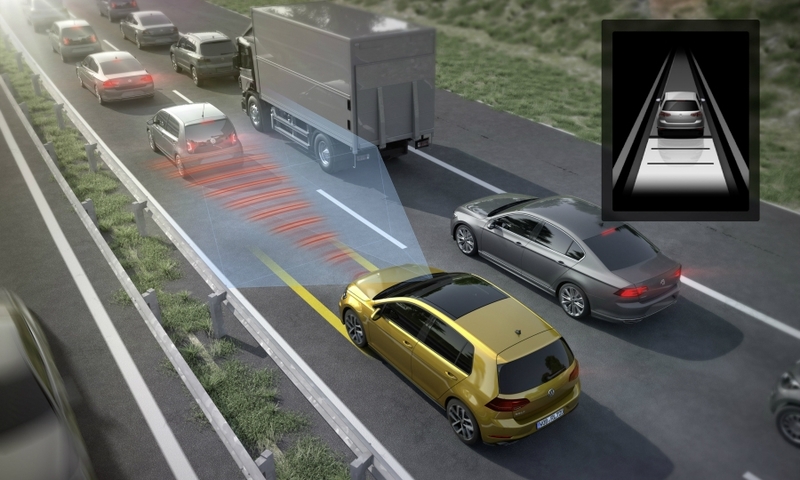 The system uses VW's lane departure warning and adaptive cruise control systems. Inside, the first feature to immediately catch the eye is its Active Info Display, VW brand's version of Audi's Virtual Cockpit. Offered solely in combination with its "Discover Pro" infotainment package, it allows the driver to manually select between various versions of a digital tachometer and speedometer, while integrating navigation, vehicle data or music options in the background just like Audi. 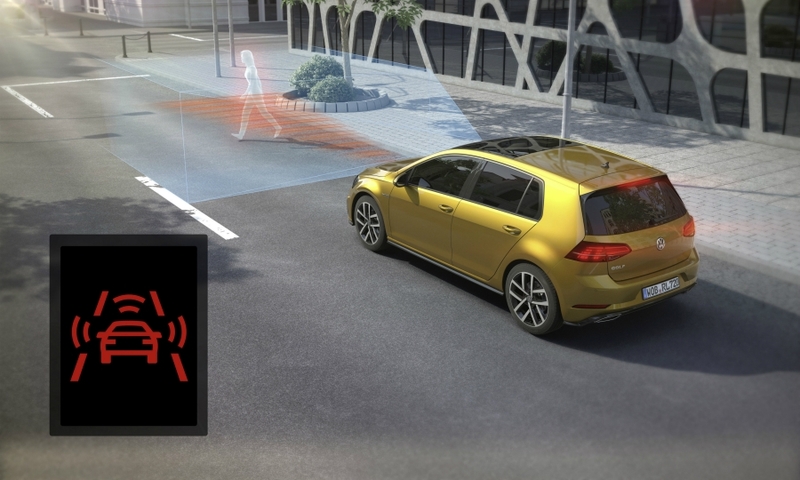 Discover Pro, the most expensive of the Golf's IT packages, also comes with gesture control enabled via a bank of infrared sensors below the 12-inch touchscreen display. While much more rudimentary than the version first shown in last year's Golf Touch concept that unveiled in January 2015 at the Consumer Electronics Show in Los Angeles, occupants can scroll through radio stations or album tracks via a slow swipe of the hand. Not even Audi offers this kind of technology in its current models. Volkswagen also borrowed Audi's Phone Box, integrating a storage compartment that can hold and inductively charge a smartphone. 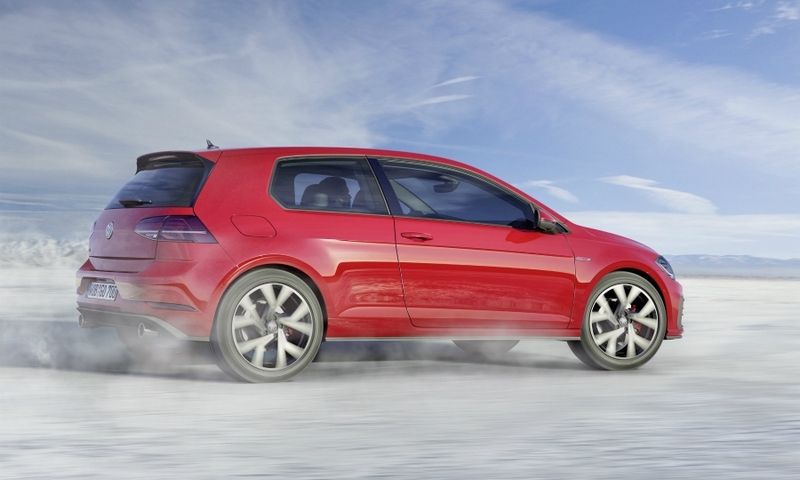 "The Golf is the ultimate Volkswagen. It is a car for everyone and every situation. And the brand's most successful model ever," VW brand chief Herbert Diess told reporters at the automaker's newly renovated headquarters building. 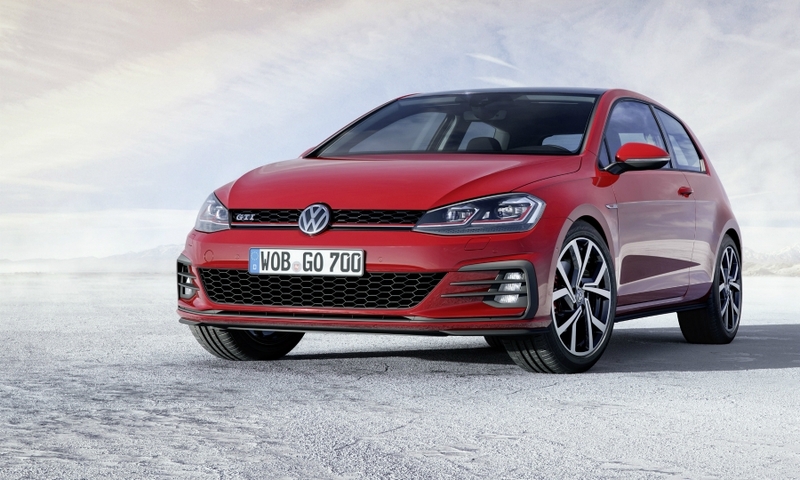 VW said advance sales of the face-lifted Golf will start at the beginning of December with prices starting at the same base price as the current car, despite the higher specifications. 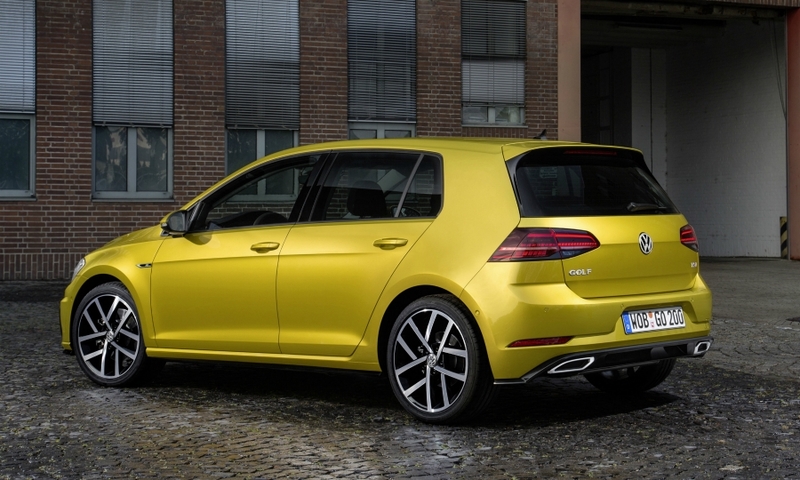 The update covers the two- and four-door Golfs, the Golf wagon, and the Golf GTI and Golf GTE variants.